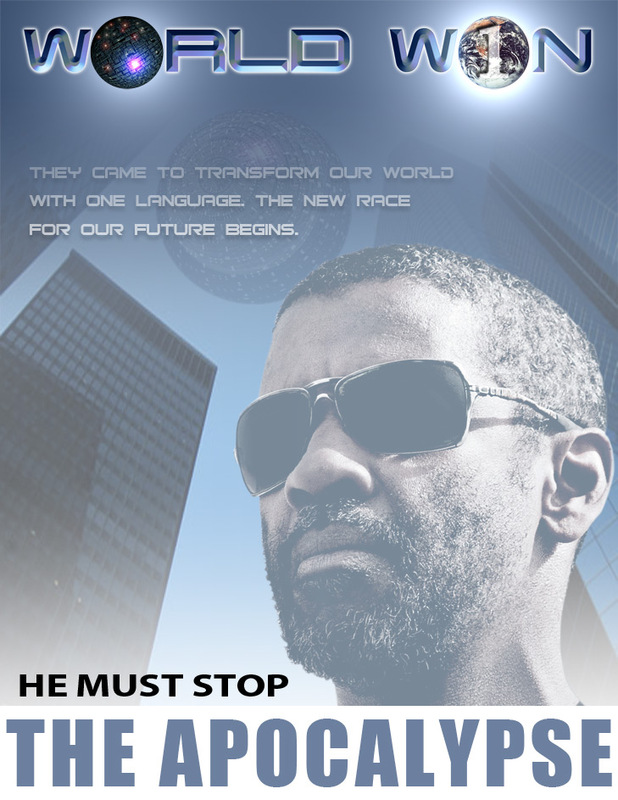 World W1n is a science fiction/ political thriller. The stories that dominate our collective visions for the near future find hope only after the worst case scenarios come true. The Biblical story sees humanity united after 2 billion people are destroyed. The secularists have their story of Star Trek where 600 million people die before the world finds peace. I wanted to write a scenario where humanity not only reaches its noble destiny but also stops the nightmare of a nuclear holocaust. The adventure I wrote is a science fiction / political thriller called World W1n. It is the amazing account of a 21st century revolution where the world's nation states become bound by a global country. World W1n is about ten million people on the planet who are transformed by a new language in the year 2016. A new shift towards higher consciousness helps counteract the damage done by a fundamentalist vice president, John Franklin, who is sworn into office after the Republican president is assasinated and Islamic fanatics hijack the governments of the oil cartels in the Middle East and arm them with nukes. An apocalyptic clash of civilizations seems unavoidable. Meanwhile, religious fervor sweeps the west after a team of archaeologists claim to have found the remains of Noah's Ark. John Franklin uses the religious revival of America and fear of the impending apocalypse to his advantage where he promises to lead God's nation to victory against evil. There is one world leader who seeks to stop this madness; Dominik Garrett, the Secretary General of the United Nations. Dominik's mission becomes more urgent when satellite pictures taken over Shanghai, show a levitating sphere one tenth the size of Manhattan. Further reports reveal a five million strong army of white clad Chinese marching to Beijing. After the president revokes the U.N. charter with military force, the same sphere from China appears over New York City. Dominik and Makara Kindall are among the first brave New Yorkers who approach the massive alien ship and meet its inhabitants. Now on edge and convinced he is up against Satan, the president plans to launch a preemptive nuclear strike on America's enemies. There are two forces that stand in the way of an apocalyptic showdown threatening millions of lives in the East and West. On one side is Dominik and a group of militants and on the other is Makara with a white clad peace army of five million transformed New Yorkers. One is convinced the president is evil and seeks his destruction by any means necessary. The other sees good in John Franklin and seeks to redeem the president and unite humanity through non violent means. You can find out which side prevails by reading World W1n.